Roosebeck Music Stand Adjustable Solid Red Cedar Double Shelf . Music Stand, Boston design with single tray and double shelf. 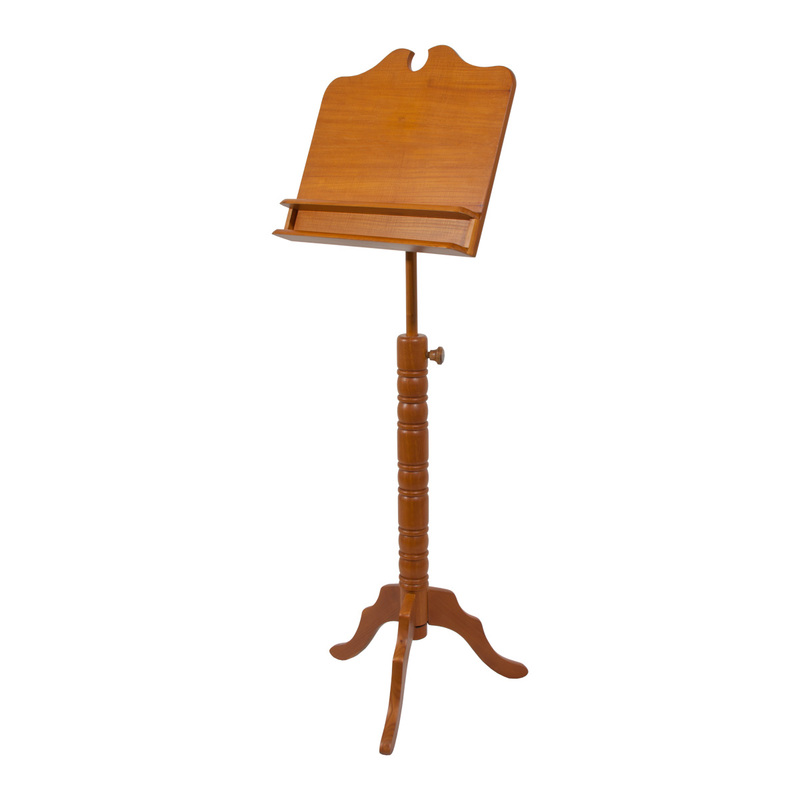 This solid red cedar music stand has adjustable height and tilt. The approximate full height, floor to top, ranges from 51 to 66 inches shortest measurement is 42". The height, from floor to the bottom of the tray adjusts from 31 to 46 inches. The music rack is 20 inches wide by 12 inches tall and the tray is 2 inches deep. You can easily adjust the angle of the music rack to a number of positions. The foot span is only 19 inches and the three feet provide a very stable base. The stand is just over 8 pounds.